While I was still an Art History student, I’ve dreamed how one day I’ll be visiting museums with my kid. How he or she will be that enlightened kid that will understand art. And while he will be asking me meaningful questions about paintings in front of us, I would be the proudest mum ever. And then I’ve got a child. And realised how that little dream of mine will be a bit harder to achieve. And that I’ll have to create a great experience for him, so he can enjoy in a museum. That’s why I’ve created this one hour long self guided tour with a toddler so anyone can have a great visit to the Rijksmuseum with kids. It helped me a lot an experience I’ve got while doing many museum tours with very small kids in a museum where I used to work. And I remember how talking the language they could understand helped a lot. I’ve also done many tours with families in the Rijksmuseum. And learning from all of those experiences helped me to create a self guided tour in the Rijksmuseum that would be fun and interesting for a toddler (and not exhausting and boring for adults). 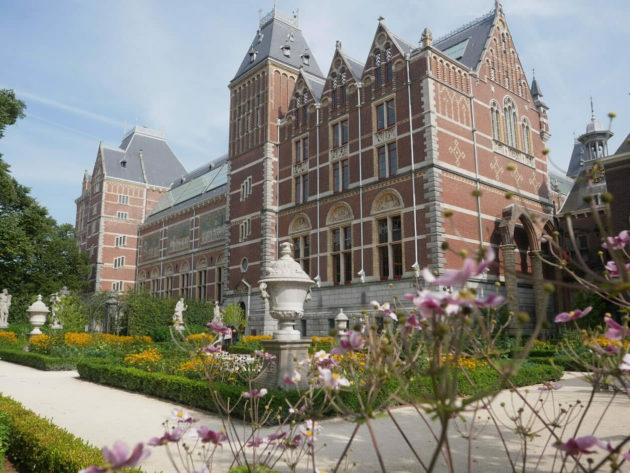 *Would you like to read more about the Rijksmuseum? 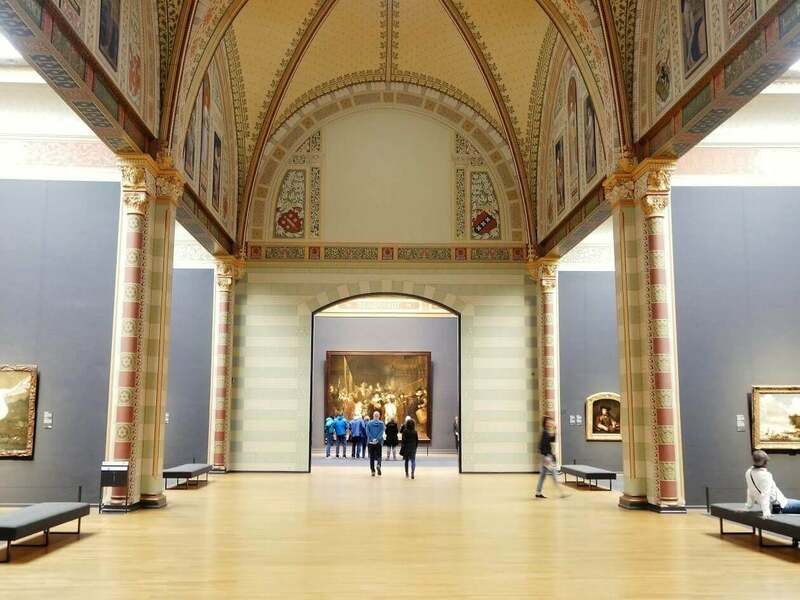 Take a look at these 10 things you didn’t know about the Rijksmuseum. Preparation is definitely a key here. Telling your kid you’re going to visit a museum in a few days. Talking about paintings or art pieces (maybe relate that to something you have at home). Also, reminding them about how to behave in a museum (looking with your eyes, not touching anything). It’s working surprisingly well with my son, almost like it makes him feels more grown up. He’s not small any more and he knows how to behave at a museum. I’ve also told him about some things we’re going to see there. He loves windmills, so we’ve talked more about them in days before our visit to the Rijksmuseum. We’ve also saw some from a train on our way there. I’ve told him he’s going to see a real aircraft at the museum and a ship with a small people moving on it. He was already interested, asking questions and talking about it before our visit. I found very useful also to make a day out of it. We have dressed up, travelled with a train and have told his grandparents and father we’re going to a museum. It already felt quite special as an activity we are going to do together. I’ve also planned to get there just in time for a lunch. So, we fist went to a restaurant. Rijksmuseum restaurant is really nice and we enjoyed in our tomato soup there. It’s also quite busy and you’re often sitting at a large tables with other people. So, that business also added to the feeling he is at an important place. I’ve brought nothing. But, that’s because I knew Karlo will be only distracted with it. He’s still not that much into drawing, so having crayons with us wouldn’t be that interesting to him. The best thing is to once again think about what does your child likes. Perhaps, bringing a play dough could be interesting, so they could model something they’ve seen. Or bringing a pen and a paper if they like to draw. Museum guidelines are that there is fine to have a paper and a crayon (not markers) and draw if you’re not too close to the paintings. There are many benches around where you can sit, look to the paintings and create your own art piece. There are also some benches at the Great Hall or a lobby at the ground floor where they can play with a play dough, be more energetic and lauder. 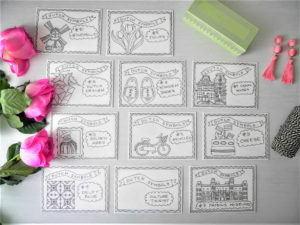 You can maybe get some of these postcards, look for these symbols or colour them during your visit. 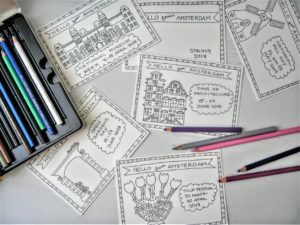 *You can order ‘Dutch Symbols’ Colouring Postcards on a link here. 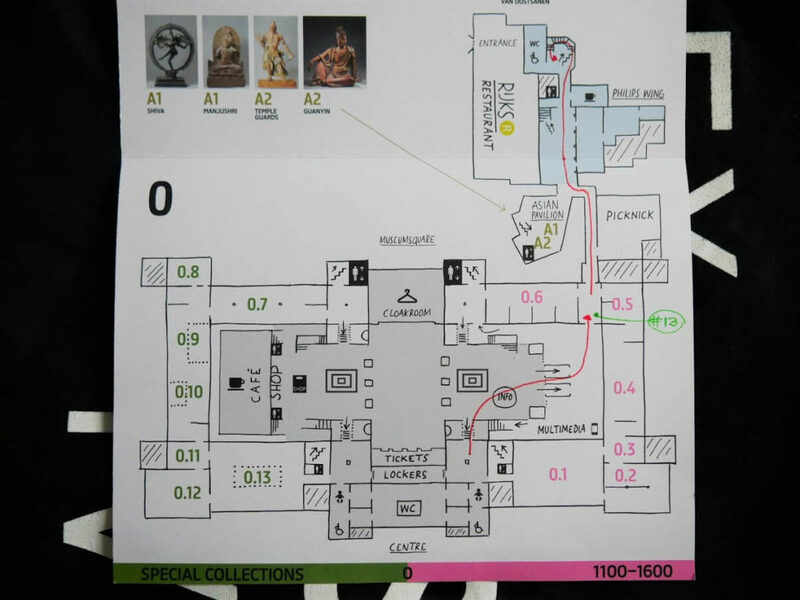 It should take you around one hour to follow this self guided tour at the Rijksmuseum. My son is 4 years old and it was really interesting to him. So, I believe it should be suitable for kids from 3 to 6 years of age (with a little personal adjustments, of course). You’ll probably spent only a couple of minutes next to each exhibit and will move quickly around. Walking between the exhibits, getting from one part of the museum to another, occasional chat with (very friendly) guards there, was also making him entertained all the time. I’ve written approximate time we’ve spent at any of these points, so you can also get a better idea. Rijksmuseum building is quite an impressive itself. Walk through the tunnel and imagine about how, many years ago, when the museum was built, horse riders and carriages were passing through it. There is a band performing there very often. So, you can stop for a while and enjoy in some classical music. There are also big windows there through which you can see inside the museum. The view is quite impressive. It’s up to you if you would like to start with a restaurant, leave it for the end or skip it all together. It could work well, if you would like to start slowly and absorb some atmosphere with your kid first. Enter now the ‘Special collections’ at a ground floor and walk until the end of the first room. You’re going to find a model of the 19th Century ship called Neptunus there. 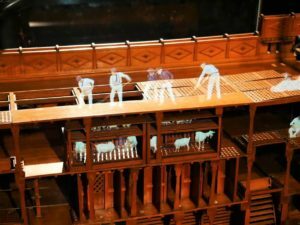 Not only you’re going to see how it looked like, but you can also see animated characters moving around it busy with their work. Some sailors are cleaning, some preparing food while some are relaxing after a long day on a ship. You can now go back in the same direction from where you came from, walk through the lockers area and enter the galleries on the other side. Get to the elevator and go to the third floor. Once there, walk all the way to the end of the gallery to its last room. A real aircraft from the First World War that could reach, previously unthinkable speed of 220 kilometres per hour is displayed in this room. Walk around it and try to find where a pilot should be sitting, what the aircraft was built of and could there be any passengers in it beside a pilot. On your way back, in the last room before the elevator, you’re going to see a painting with a windmill. 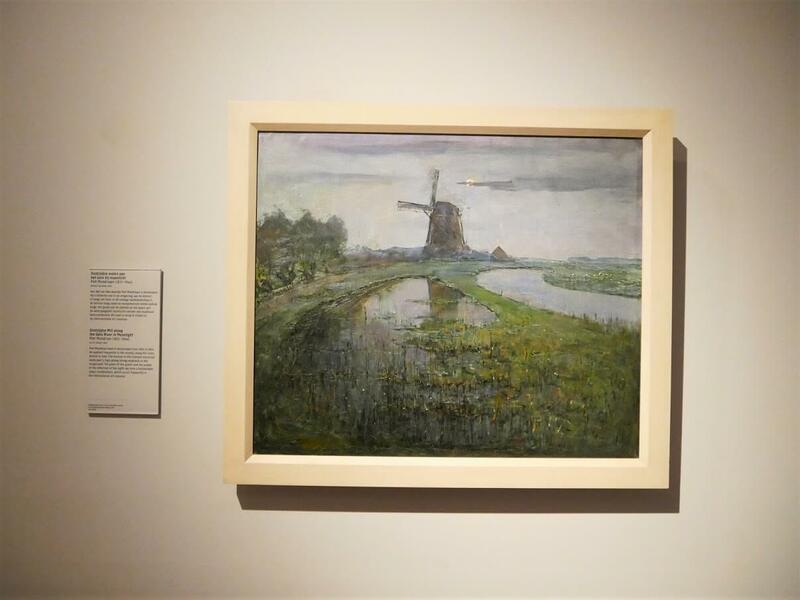 Ask your child to look for windmills on paintings before your visit. Perhaps they can try to draw them themselves afterwards. 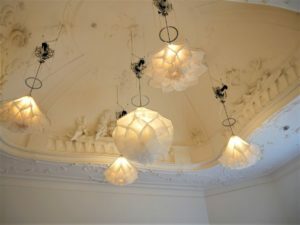 *TIP: Choosing a subject or a motif you could look for while in the Rijksmuseum is also something that could make a visit even more interesting to kids. During a visit with my son, we’ve looked for windmills. We’ve seen some from a train on our way to the museum. Then we were looking for them on the paintings. And have finally draw some once we were back home. Take the stairs or an elevator down to the second floor. Walk through the Great Hall and enter the Gallery of Honour from there. 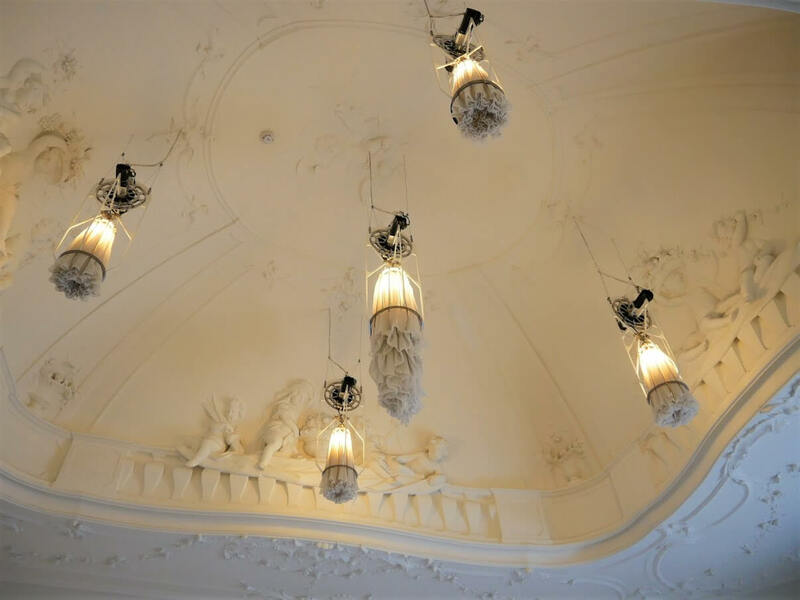 It’s a gallery where the most famous Dutch Golden Ages’ paintings are. You can walk through it (without stopping next to all the paintings) and compare that with paintings you’re kid is creating at home. Maybe ask him if he would like his paintings to be displayed at walls of his room. This is a painting on which the most popular Dutch children’s holiday, Saint Nicholas (Sinterklaas) Day is depicted. You can see a family enjoying in it. A little girl at a middle of the painting was good and she has got a lot of presents. On the other hand, her brother at a left hand side of the painting, was obviously quite naughty during the year and he’s crying, because he haven’t got anything. *TIP: A little detail that could be especially interesting to kids is a basket at a left bottom corner with some waffles in it. A good idea could be to buy some stroopwafels in a super market and bring them with you. You can perhaps have them during the little break or after your visit. While walking through the Gallery of Honour you’ll stumble upon another windmill. It’s a motif on a landscape painting created by another famous Dutch painter Jacob van Ruisdael. It looks like those lovely windmills were always interesting to Dutch painters as a motif for their paintings. You can briefly take a look at it and continue your walk through the gallery. It’s always quite busy in front of The Night Watch, so you don’t have to stay there for too long. Look at the painting and it’s size. Could you fit it at the wall in your living room? It’s much bigger then the other paintings in the Gallery of Honour. What could be the reason for it? Maybe a number of people on it? Or could it be it was a very important painting? There are mostly men on it, but try to find a little girl and a dog on a painting, as well. *Short break: Turn to the right here and go to the next room. You’ll find some benches there. 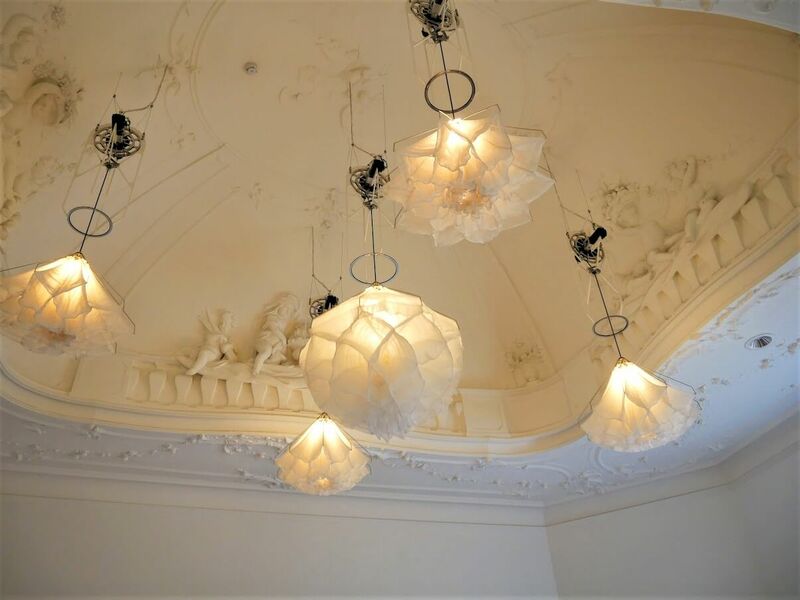 Take a short break and look at the interesting ceiling of that room while relaxing a bit. You can perhaps have that stroopwafel, you’ve seen on one of the paintings a few minutes ago. After a short break continue your walk through the galleries on the Second Floor. 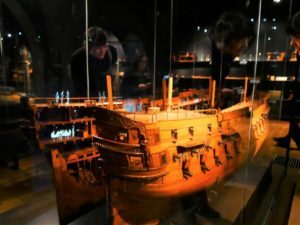 As soon as you’re going to enter the next room you’ll see an impressive exhibit – a large wooden ship model. It was built in a dockyard where real warships were built during the 17th Century. Imagine those long journeys people were going to and how they were travelling before a plane was invented. It would took around one year to get from the Netherlands to Indonesia on one of those ships. Quite a long journey, right? The ship had many cannons on it because they had to protect a very expensive cargo they were transporting. The next stop on your tour through the Rijksmuseum is going to be its library. The old library has many many books in it. Compare that to your home library. Or book collection your kid has. And don’t forget to be quiet there – if you’re going to look down you’ll see researchers reading the books and working on their studies. They are learning about the paintings and exhibits you’ve just seen. Although they haven’t been used as a children toy back in the 17th Century, they are going to be interesting to every kid visiting the Rijksmuseum. Take a look at the doll’s house at the right hand side of the room. You can see how typical canal houses looked like from the inside: kitchen with pans for pancakes, living room with a historical furniture inside or a nursery room on a top right. After you’ll exit smaller rooms, you will once again come to the Great Hall. Look around yourself to the wall paintings and stain glass windows. 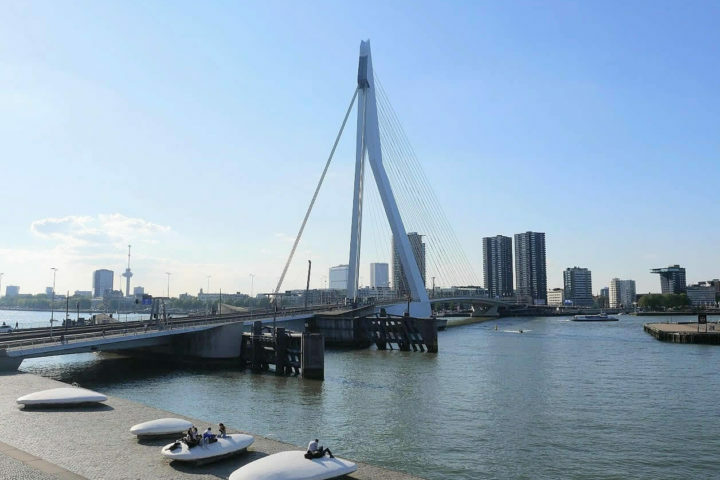 You can see some very famous people and events from Dutch history there. *TIP: Comparing things you’re going to see in the Rijksmuseum with something that’s familiar to your kid, could be a great way of learning. Look at some of the men on paintings in the Great Hall – their clothes or haircut and ask your kid, is that the clothes your father/uncle/grandfather would be wearing? Or compare the windows in the Great Hall with windows at your house. That’s a great way for them to understand how differently things looked at the past. Walk all the way down to the lobby at the Ground Floor. Go to the right then to the Philips Wing. In a small dark hallway at the entrance to the Philips Wing there is a clock with a man inside of it. Each minute, he erases the long hand of a clock and draws the new one. Take a good look here, is there really someone in there? *TIP: If you’re travelling via Schiphol Airport look for the larger version of this clock in a hallway right after the border control. Dancing chandeliers made of many layers of silk are the last exhibit on this self guided tour through the Rijksmuseum. Stand there and look at that lovely ballet performance. You can go bellow them if you want and see if they are going to touch you. Museum Shop at the Rijksmuseum has a really nice range of products for kids. You can enter it from the lobby at the ground floor, just bellow the restaurant. Walk to the lower level where you’re going to find children books (both in Dutch and English), feather pens and other little toys. 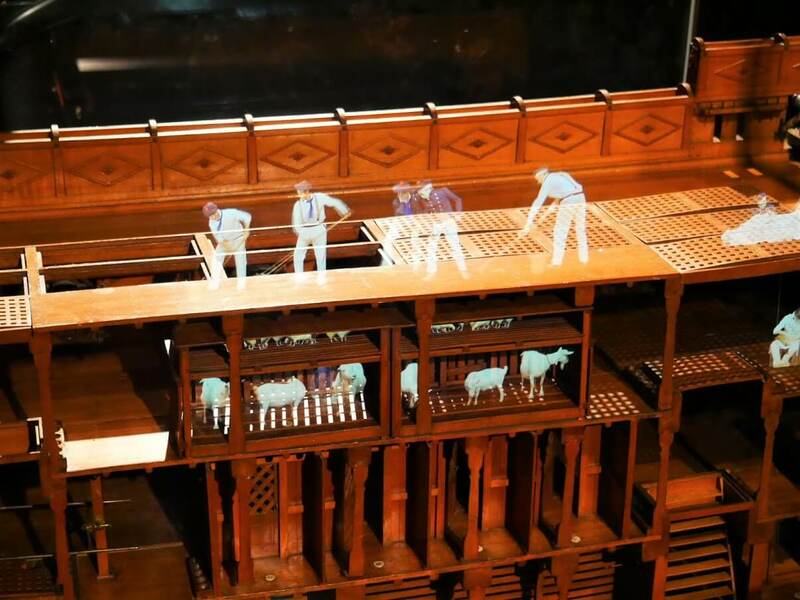 My favourite are Playmobile figures inspired by the Night Watch or the Milkmaid. It’s definitely something that’s going to remind kids on their visit to the Rijksmuseum. 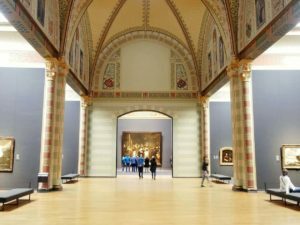 # – Buy tickets online: To avoid waiting to get tickets in a museum, I’m strongly recommending you to buy your Rijksmuseum tickets online. Kids up until 18 years have a free entrance, but you will have to buy one for yourself. *Buy your tickets on a link here – Entrance tickets to the Rijksmuseum! # – Picnic Room: This is a room at the Philips Wing where you can relax, eat food you have brought with you or draw a bit. # – Children activities: During the school holidays in the Netherlands there are many activities organised at the Rijksmuseum. From some drawing at the lobby, craft making or organised workshops at the Picnic Room. They are usually free of charge and quite interesting. # – Cloakroom and lockers: You will have to leave your larger bags and backpacks in the garderobe. I would suggest you to leave them in a locker, instead in the cloakroom. That way you won’t need to wait in a queue (it could get quite busy there). You will need a 50 cents coin to use it, so remember to bring one with you (if you won’t have it, you can go to the museum shop and ask there to exchange some money). # – Restrooms: Have a Floor plan with you, so you can find restrooms easily. There are baby changing corners at a ground floor. # – Book a tour: Would you like to book a private tour at the Rijksmuseum with me? You can do that at the link here! And well, don’t forget to enjoy! 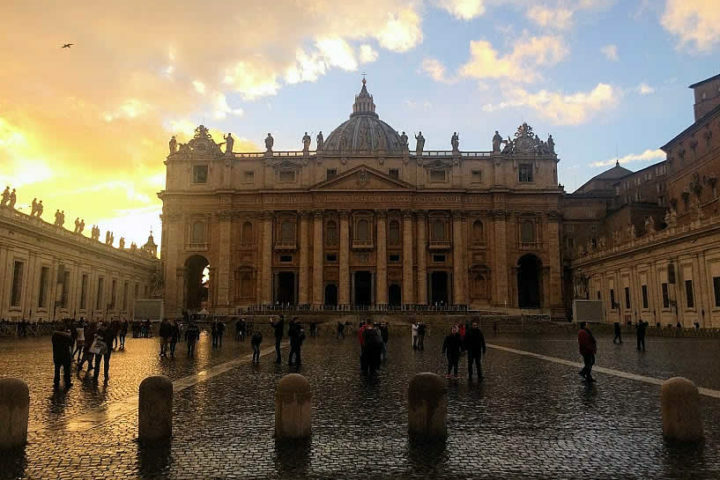 Be curious and explore this wonderful building with your kid! If you’re going to prepare well and follow these suggestions, I’m sure you’ll have a great time at the Rijksmuseum!